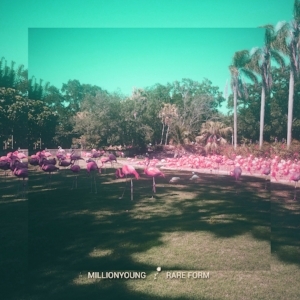 The pseudonym for South Florida’s Mike Diaz, Millionyoung blends bright electronic synths with layered guitars and vocals to create lush tropical soundscapes. Drawing from house music rhythms and 70s funk psychedelia, Diaz’s music feels as welcome on a crowded dance floor as it does on long road trips. Mike is also multi-talented as an artist, producer and DJ. He released his first EP in 2009, entitled Sunndreamm, and has since released numerous LPs, EPs and remixes. The last two years have found Diaz performing his music live at festivals such as III Points, House of Creatives and FM Festival, as well as select dates across the US. During this time, he has spent countless hours in the studio perfecting his much anticipated 4th full length album, entitled Rare Form, planned for release in Spring of 2018.